The SoftBank Vision Fund will invest $2.25 billion in GM Cruise Holdings LLC, a move aimed at strengthening the company’s plans to commercialize and scale autonomous vehicle technology. General Motors will also invest $1.1 billion in GM Cruise upon closing of the SoftBank Vision Fund transaction. The SoftBank Vision Fund’s first tranche of $900 million will come at the closing of the transaction. The second installment of $1.35 billion (with regulatory approval) will be completed by the Vision Fund when the Cruise AV vehicles are ready for commercial deployment. The SoftBank Vision Fund will then own a near 20 percent equity stake in GM Cruise. Officials say the relationship will allow increased flexibility with respect to capital allocation. General Motors President Dan Ammann (left) and GM Chairman and CEO Mary Barra (right) give SoftBank Investment Advisers Managing Partner Michael Ronen a closer look at the Cruise AV on Wednesday, May 30th, 2018 in Detroit, Michigan. Photo: Steve Fecht for General Motors. The GM and SoftBank Vision Fund investments are expected to provide the necessary capital to reach commercialization at scale, beginning already next year. Earlier this year, GM filed a Safety Petition with the Department of Transportation for its fourth-generation self-driving Cruise AV. The petition says the Cruise AV would be the first production-ready vehicle to operate safely with no driver, steering wheel, pedals, or manual controls. 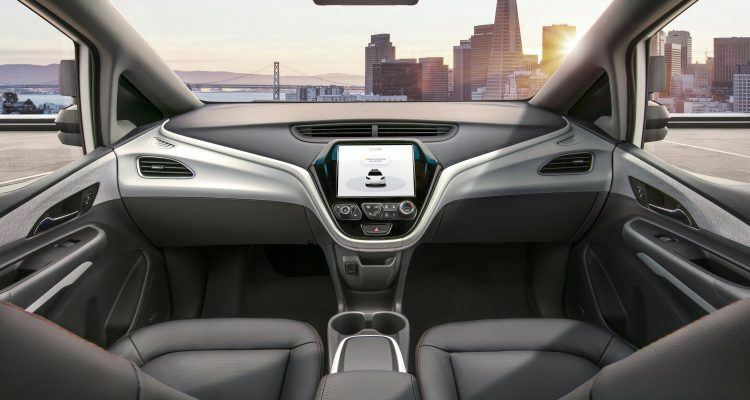 “We are very impressed by the advances made by the Cruise and GM teams, and are thrilled to help them lead a historic transformation of the automobile industry,” Ronen said. Photos & Source: General Motors. No Comments on "SoftBank Vision Fund To Invest Over 2 Billion In GM Cruise"